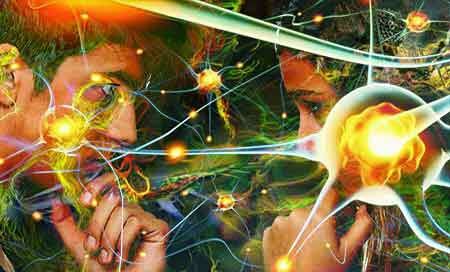 Home » Telepathy » How to make telepathy over picture? Can a telepath be done by looking at a photograph or picture? How to make telepathy with photography? Is it possible to make telepathy by looking at someone else’s picture? Just think that telepathic communication is enough for us to communicate with the person we want to establish a telepathic telepathy with a different size of the picture will appear. A single thought produces signals about that thought. When the idea is fixed on a subject, these signals start to repeat. However, since these signals are not targeted, they spread around and remain ineffective. Thoughts are now moving towards a single center when they focus on image or image. Since telepathic communication is a spiritual communication, they reach their goals without encountering any material obstacle. An example of this is the experiments in Faraday cages, the mother rabbit and telepathic hypnosis, which are observed in brain waves when the offspring of the offspring are killed. Looking at a picture, when we want to make telepathy, we actually show the other spiritual receiver that the signals must reach in our spirit world. 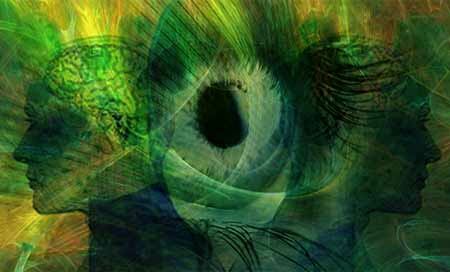 In telepathy studies, which are normally performed with image, the receiver is detected not by image but by image. Which cases can be made by looking at the picture? It is not necessary to find pictures for telepathy, but in some cases it is effective in accelerating the process. You can try to strengthen your telepathic communication by looking at the picture. The human face is the reflection of your soul. All traces of his inner world are generally reflected on the face. Visually, the human face is like a spiritual path to the human spirit at matter level. For other beings, the mother’s name is used as the address, while those with a spiritual ability use the pictures for spiritual communication. They will become concrete; The human face functions as the signal values ​​of a TV channel on satellite in spiritual communication. Looking at the picture, the spiritual connection is established. From the moment the picture is taken, the spiritual reflection of that person is taken to a square for that time period. After all the ongoing squares continue in real life, the period is sufficient for spiritual follow-up. If you have a human picture that you want to communicate telepathically, then I think it’s not that difficult because of social media. If you have the opportunity to make a choice, look at the picture and choose the picture of the person you want to make telepathy, which makes you feel nice, or that makes you feel closer to you. The last pictures taken are the pictures that are closest to the original in the time period. If we consider each picture as a new satellite frequency value, the easiest and most clear values will be the last images. The picture you select should be a picture of the face area with the forehead clearly. 〉〉 Activate your Heart Chakra, the third chakra and the 4th Chakra, before the third eye. You just need to feel the vibrations. 〉 Focus on the center of the forehead of the person you want to communicate telepathically. 〉 Look at the picture in this way for about 10 minutes. 〉 4. Chakra your feelings 6. Chakra also represents spiritual communication. You should use both. 〉 You can forward the messages you want to convey when you feel you have reached enough density. 〉 Talk through your mind or your heart speech if you can. So mouth and language should not move in any way. This type of speech may require a particular study. But if you can’t do that, you can talk in a slight whisper. 〉 Close your eyes and keep looking at the picture. 〉 4. Imagine that the light coming out of your chakra (from your heart) comes in from the heart of His, from the sixth of your Chakra (in the middle of your forehead), from beneath Him. 〉 At this point you need a complete spiritual integration life. Even though you feel that the connection established in this way allows for spiritual communication, but because we are accustomed to communication by communicating in the transmission of messages, we need to demolish our belief in mesaj there is no communication in this way mes and strengthen the messages communicated. 〉 Communicate the messages you want to convey when you believe that you have achieved spiritual integration. 〉 Imagine you’ve approved of you in your mind after each message you send. 〉 When you do this work on a regular basis, your communication with the people you establish telepathic connection will be strengthened. For more detailed information and to improve your work, please refer to the articles below. After this point, I do not want to repeat because they will be written before.